I’m squishing in that last bit of summer and getting those veggies on the grill while I still can! …Who am I kidding, I don’t even have a real grill, I just have a little grill pan, so I could technically make these Vegan Grilled Veggie Gyros anytime of the year. 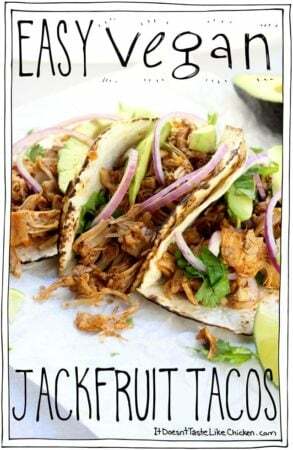 And you know what, I’m so going to do that, because oh my are these gyros so get-in-my-mouth delicious! I admit, the ingredient list for this recipe is longer than my usual short list style, but it’s really just a recipe for a marinade and a bunch of veg for the grill when you look at it, so don’t get worried. 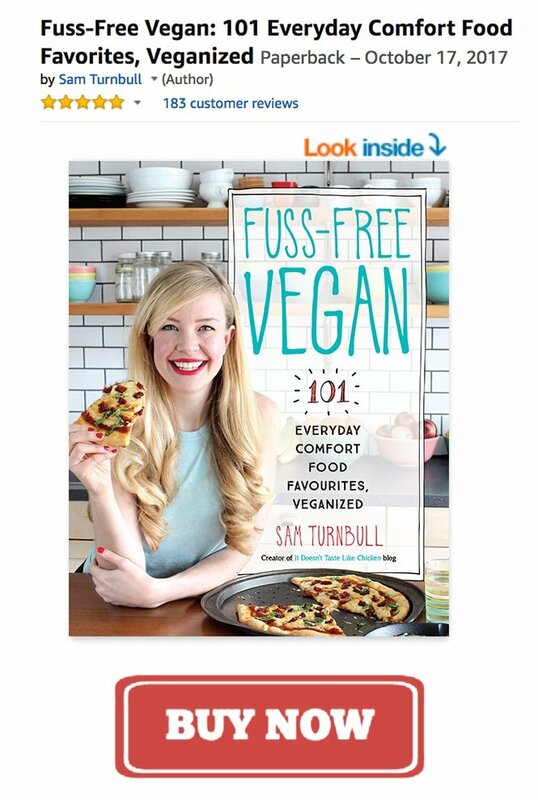 These Vegan Grilled Veggie Gyros are so super duper easy to make in true Sam cooking style. Just whip up the marinade, pour over sliced veggies, then start your grilling. The tzatziki can be made ahead of time, so then all you have to do is assemble your sandwiches to taste. See? Told ya, easy peasy. And how does it taste? Well, let me tell you. 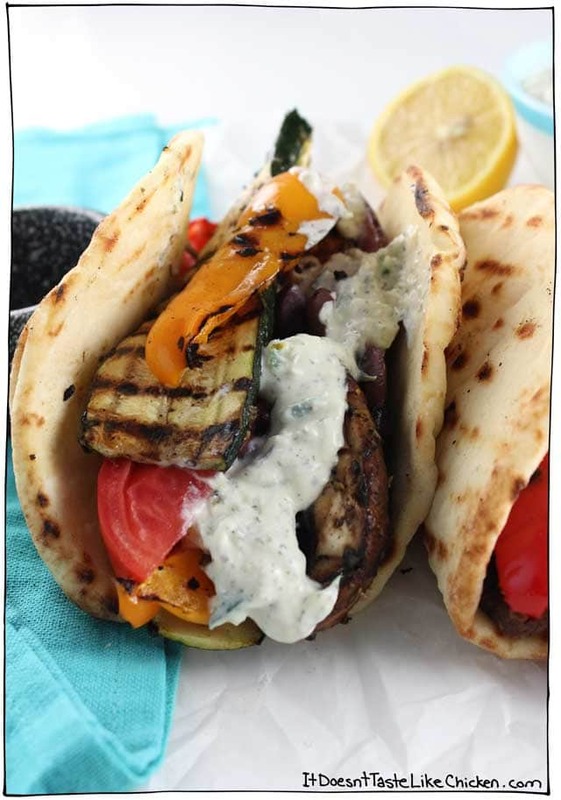 Layers of smoky garlic grilled Greek style veggies, with fresh tomato, a sprinkle of black olives, topped on a fluffy grilled flatbread, with a big dollop of creamy vegan tzatziki. There’s a reason why I have been eating this for lunch and dinner the last few days in a row, I just can’t get enough! 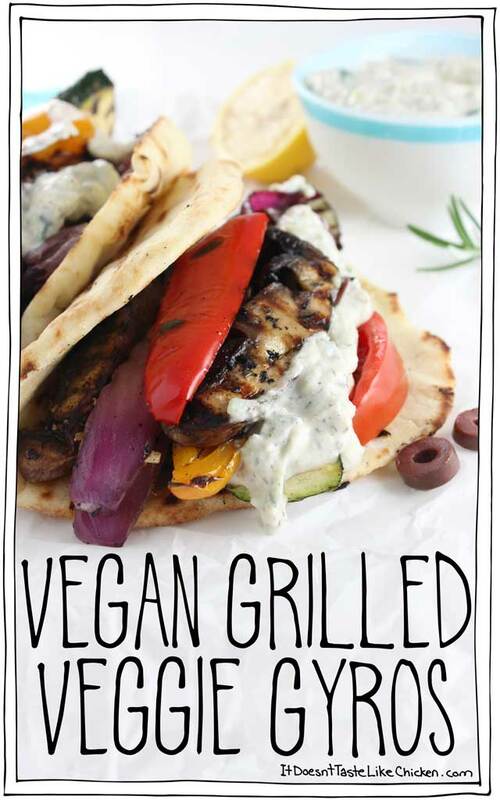 To make Vegan Grilled Veggie Gyros: sliced up your veggies. 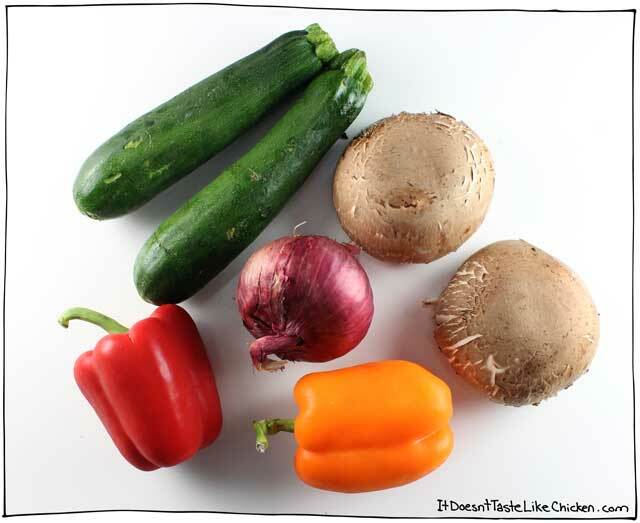 I used zucchini, portobellos, peppers, and a red onion, but you could also try eggplant, tomatoes, or carrots. Put the sliced veggies in a large dish and pour the marinade over top. 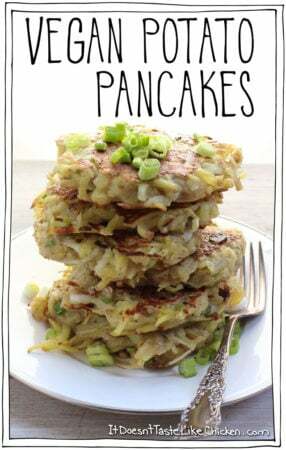 Toss the vegetables to coat. You can let them rest for 1/2 an hour or start grilling right away. Heat your grill or grill pan over medium heat. Add the veggies and grill a couple of minutes per side until grill marks are formed and the veggies are tender all the way through. As you grill brush on the leftover marinade. Depending on the size of your grill you may need to do this in batches. You can heat your oven to 250F (130C) with a large baking tray inside to keep the grilled veggies hot while you cook the remaining veg. Lastly, toss the flatbreads on the grill and warm the bread just before assembling the sandwiches. 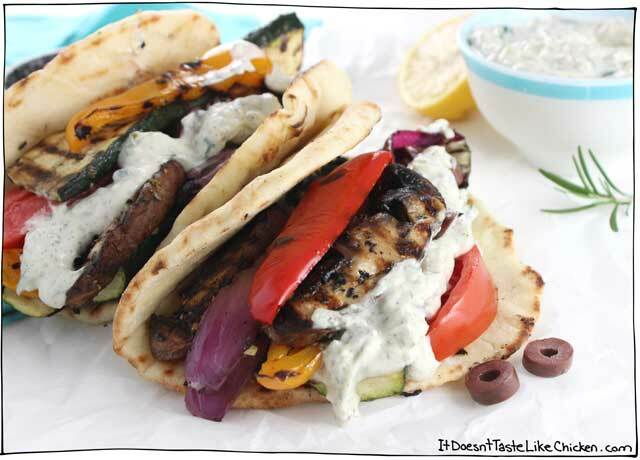 To assemble the gyros take a warmed flatbread and top it with the grilled veggies, a big dollop of Easy Vegan Tzatziki, a couple slices of tomato, and a sprinkle of black olives. Repeat to make 6 sandwiches. This is amazing served hot, but leftover cold veggies also make for a great sandwich topper. 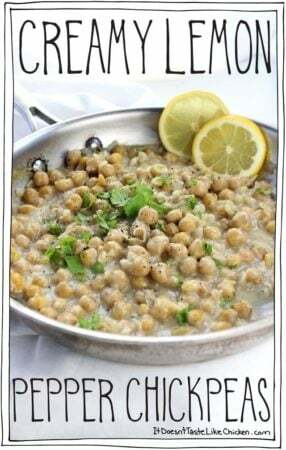 Easy recipe for Greek styled dinner. 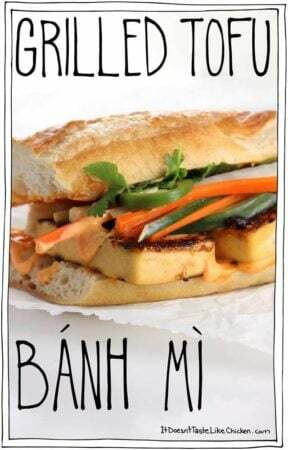 Just marinate vegetables, grill, and assemble the sandwiches to taste. 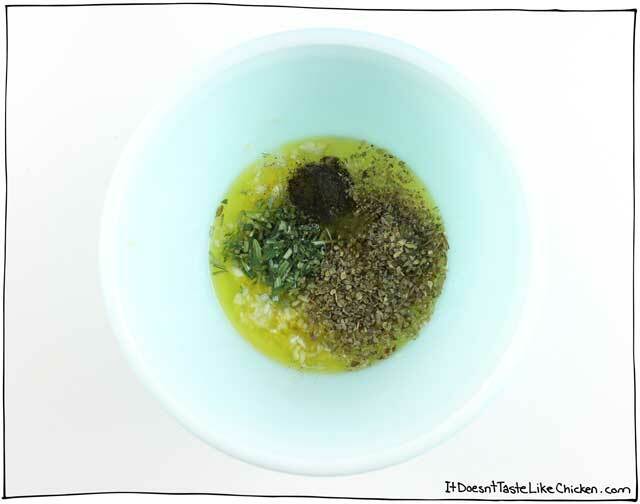 Prepare the marinade: mix everything together in a small bowl. 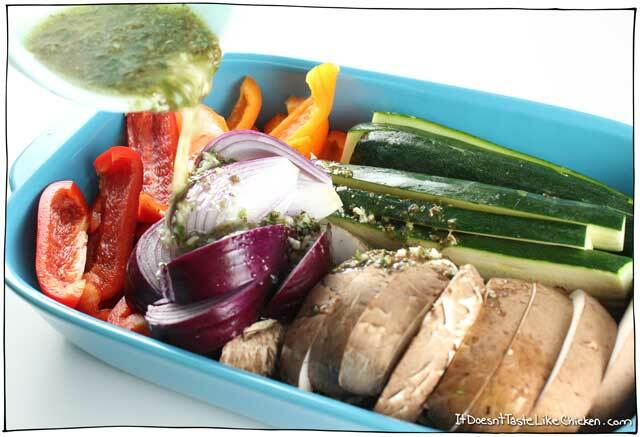 Put the sliced veggies in a large dish and pour the marinade over top. Toss the vegetables to coat. You can let them rest for 1/2 an hour or start grilling right away. 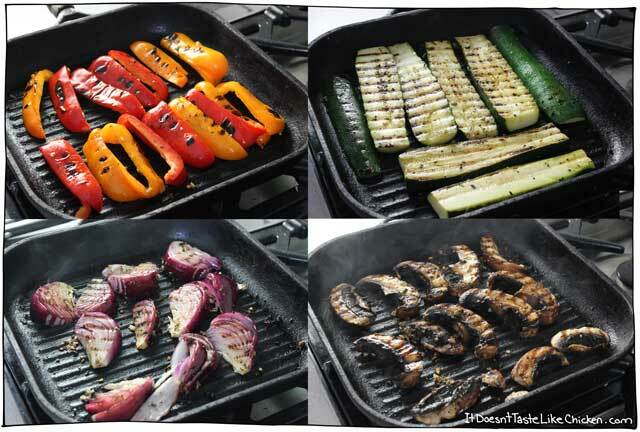 Grill the veggies: Heat your grill or grill pan over medium heat. Add the veggies and grill a couple of minutes per size until grill marks are formed and the veggies are tender all the way through. As you grill brush on the leftover marinade. Depending on the side of your grill you may need to do this in batches. You can heat your oven to 250F (130C) with a large baking tray inside to keep the grilled veggies hot while you cook the remaining veg. Lastly, toss the flatbreads on the grill and warm the bread just before assembling the sandwiches. 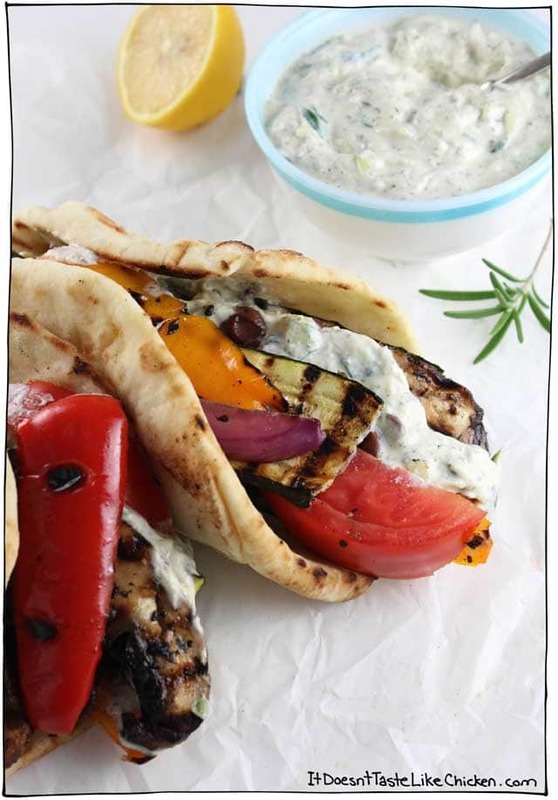 Assemble the gyros: take a warmed flatbread and top it with the grilled veggies, a big dollop of Easy Vegan Tzatziki, a couple slices of tomato, and a sprinkle of black olives. Repeat to make 6 sandwiches. This was crazy good! 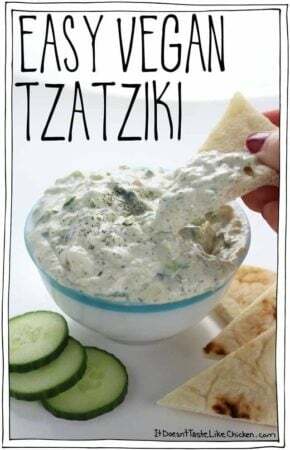 Your Tzatziki sauce was so creamy and scrumptious. Thanks for another great one . Oh my giddy Aunty! I made Gyros last night & they were sublimely delicious! These are AWESOME!!!!! That’s it! Thanks for your incredible inspiration, Sam. You’re more than welcome, Srivani! We made this for dinner last night, including your tzatziki. I also whipped up a bowl of muhammara and some fresh flatbread, and oh boy, was that an outstanding meal! Bringing in the veggies from the grill made the whole dining area smell like a Greek restaurant, a smell that I’ve been missing badly since 1) moving to the US, and 2) becoming vegan. But you’ve got the spice mix I remember so well down pat. The only thing missing was a glass of retsina… thank you, Sam! It was a good time. We found a playlist on Spotify called Greek Taverna, and voila!, it was just like eating out back home. P.S. 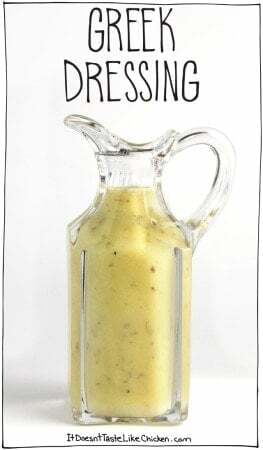 I’ve been trying to rate this recipe but it doesn’t seem to work when I’ve started a comment. Five stars from me! Thank you, yes there is a glitch with the recipe program I am using at the moment. I am working on sorting it out. Hopefully, it will be up and running again soon!